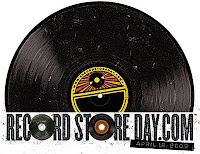 It's Record Store Day today! Support the music business and your favorite artists by visiting a local independent record store today!! It's good for you and for music. The more people support record stores, the better music we'll have to listen to. This week was finally a good one for CD sales, with 5 releases with sales of more than 100,000. The album sales chart was topped by the latest Rascal Flatts album Lyric Street at 355,000. What's more, 20 out of the top 50 showed positive gains from the week before and 12 were new entries. Could the rise of the current release digital single have anything to do with that? Is an album priced at $9.99 suddenly a better bargain than a single at $1.29. Maybe it's just a coincidence and an odd week, but it's something worth looking at the next few weeks to see if it signals a trend. Either way, it was a great sales week. Not quite like the days of old when with sales in the millions and near millions, but better than it's been in a long, long time. It seems that raising prices on most digital music services to $1.29 may have backfired. After some research, it appears that tracks with a retail price of $1.29 on the Billboard Hot 100 chart dropped an average of 5 chart positions, while tracks that maintained their $0.99 standard rate actually moved up 2 chart positions. Virtually the entire world thought that raising prices would be a bad idea during prosperous times, and it's an even worse idea now. The major labels have been demanding this for a long time, and now that they've gotten it, we'll see how long before some common sense ensues. It's going to be interesting to track this story in the coming weeks. Wanna bet that most tracks fall back to $0.99? After the news that the Grateful Dead is making a tour book available from blurb.com and even picking up the custom cover charge for their fans for a limited time, we find that the kind-hearted Prince will make available his "21 Nights Opus Package for a mere $2100." The tour book is leather bound in a velvet case and the 280 pages are made of 200gsm silk engraved with metallic gold. The box set also contains a custom purple iPod loaded with 40 minutes of "exclusive" footage along with a live soundtrack from Indigo Nights and preloaded with a variety of Prince songs. Only 950 will be available. If $2100 is not rich enough for you, you can also participate in a private auction for Number One in the series, which comes with a special alligator binding and an iPod encrusted with 5 "rare purple diamonds" and 21 "round brilliant cut diamonds." Sounds opulent and ostentatious, but that's just me. I actually have no objections to these kinds of offerings aimed at superfans, as long as the rest of your fans are also taken care of, which I'm not so sure Prince did in this case. I'm sure Prince will sell this package out in no time and good for him, but it just feels a bit smarmy as compared to similar offerings from Trent Reznor and Josh Freese. It seems that some artists are all about their fans while others are all about themselves. I'm looking for some quotations about my books for some upcoming marketing. A lot of you have personally told me that the books have been a help in some aspect of your musical life, but I've never bothered to write your comments down (I will from now on). That being said, if you've read any of my books, I'd love to hear what you have to say - good, bad or indifferent. You can send them to me here. Thank you kindly! Another piece of brilliant marketing that will probably be a big seller is the tour book that the Grateful Dead will publish for their upcoming tour. What's particularly innovative about this particular tour book is the fact that there will be a different one for each of the 17 shows that the band plays. How can any band, let alone the Dead, pull this off? They're using the on-demand book printing services provided by blurb.com, something that any band, or anybody with pictures, can also do. Blurb offers a number of professional templates that allow you to make a single book to as many as you want, but the Dead is the first band to take advantage of it, to my knowledge. 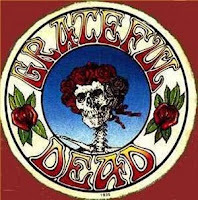 In addition to photos of the particular concert that they attend, Dead Heads can create personalized covers by using their own photograph on the cover in place of the standard image. The Dead are even covering the $5 per-book fee for personal covers if purchased by June 30th. Books from each show will be available at www.blurb.com/thedead within 72 hours of each show. "The band wanted to enable the Dead Heads to visually experience the show in a totally new way," said Jay Blakesberg, photographer for the upcoming Dead tour. "Extending the concert experience via personalized, professional-quality photography books, available within days following each show, is unlike any band merchandising I've ever seen. The speed of Blurb's publishing platform meant we could create books with unique content for every tour stop." Obviously not every act is worthy of a tour book, but then again, if you have only one fan that wants one, you can now make it available to them without any upfront money out of your pocket for printing. 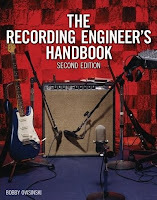 In the last excerpt on the great music blog Hypebot from the the band improvement book How To Make Your Band Sound Great, you'll see how a band's show is a lot more than a collection of songs. In fact, the differences between an amateur show and one that's tight and professional are spelled out clearly. Most new bands only learn about performing by doing it a lot, and that's the way it's always been. But it's a lot harder to get gigs these days than it used to be, so the article is a bit of a shortcut. After all, awareness is the first (and some say the biggest) step to improvement. Thanks, Bruce Houghton, for featured my book these last 5 days. Hypebot, by the way, is one of the most read music blogs on the web today. Bruce is also featured in my upcoming book "Music 3.0 - A Survival Guide To Making Music In The Internet Age" which should be out by the end of the year. Guess what? Guns N’ Roses’ Chinese Democracy will be available today as downloadable content for the Rock Band game. Since the album sales were considered a failure despite an exclusive with big-box retailer Best Buy, it seems that G N' R believe they if they can't make money on CD sales then they can cash in on licensing their music to a game. The logic behind this move might be faulty since people only want to play along with songs they know. Since Chinese Democracy received limited airplay and even more limited sales, and the band was out of circulation for such a long time, don't be surprised if the demand is less expected. Axl blew a golden opportunity with G N' R, even if the he was the only original member left. If he would have continued touring every few years to stay in the public eye rather than becoming a musical recluse making the so-called "ultimate album," the music from the original album was strong enough to sustain their following and maintain the band's legacy. Even now, if the band would hit the road they'd develop enough press and interest to maybe even revive Chinese Democracy despite the poor reviews. It only takes one song with decent airplay, online buzz and some traditional press to bring a band like this back to life. I guess Axl made too much money with the original band, or at least enough that he doesn't have to work to hard any more. Then again, driving a truck, digging ditches or working for McDonald's is working hard; playing music isn't. You could fill up several Rose Bowls with artists that would be willing to trade places. 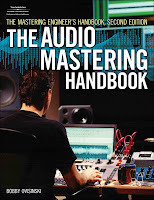 Hypebot has posted another another excerpt from my new band improvement book "How To Make Your Band Sound Great." Today's excerpt is about your live mix. 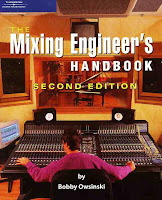 I believe that an entire generation of live sound mixers learned the wrong way. They concentrate so much on the kick and snare that they forget about the the most important element and the one that needs the most help - the vocals. For that reason, most concerts and live shows are unlistenable any more. The excerpt gives some quick advice on getting the best live mix as well as the priority of importance of on-stage instruments needing reinforcement. Click here to find out more about How To Make Your Band Sound Great as well as additional excerpts and interviews. If you read this blog you know that Trent Reznor is frequently featured here for one reason or another and that's because he's on the cutting edge of the use of social media in music. From excellent marketing with cutting edge sales incentives to intelligent and useful communication with his tribe (his fans) to viral marketing through flash drives, Trent's been there before anyone else. Now he's once more broken the mold with the release of his new Nine Inch Nails (NIN) iPhone app. Just the fact that he's developed one is news, but the fact that it's both useful and easy to use is even bigger news.